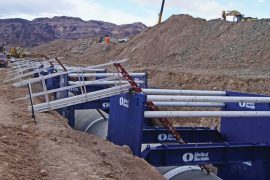 In a heyday of specialty machines — think skid steers, telehandlers and excavators — one piece of equipment maintains a large presence in the construction market because it is a multi-purpose machine. The tractor-mounted “backhoe” is a staple in utility contractor yards. It has been moving dirt and lifting and loading materials on jobsites for more than 60 years with little indication that its day has passed. Its versatility stems from its heritage. The early models manufactured in this country and in England in the late 1940s and early 1950s were an amalgam of three machines: a tractor, a loader and an excavator. The bucket mechanism was attached to the front of the tractor and a swiveling excavator affixed to the rear; eventually, manufacturers introduced a reversible seat from which an operator could control each tool. Before long, the three parts evolved into a purpose-built backhoe loader. The 710L’s standard Economy mode feature saves fuel in many applications. 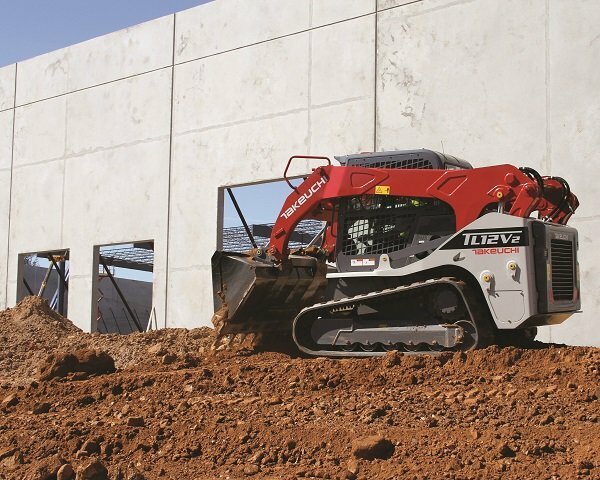 When activated, maximum engine rpm is limited in both loader and backhoe operations. What buyers are finding back there behind the big rear wheels are increasingly strong and deep-digging tools. 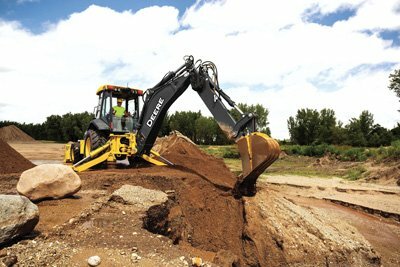 At Deere, for example, the top-of-the-line model 710L has a rear excavator with a 21-ft, 9-in. max digging depth powered by a Tier 4 Final 148-hp diesel engine. Up front, the loader has a breakout force of more than 16,500 lbs. It is a big machine. But brute force isn’t always the deciding factor for a backhoe buyer. Deere’s smaller 310SL is the most popular backhoe in the manufacturer’s lineup. 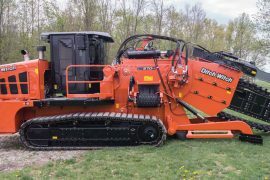 The same is true at Case, where the popular mid-sized 580 Super N has a 95-hp Tier 4 Final engine and excavates to a relatively modest depth of 14 ft, 4 in. The 580 Super N is offered in a wide-track model, but the extra width and resultant stability do not appeal to all customers. “There is a core group that still wants a relatively compact model to move down the street,” says Pullen. 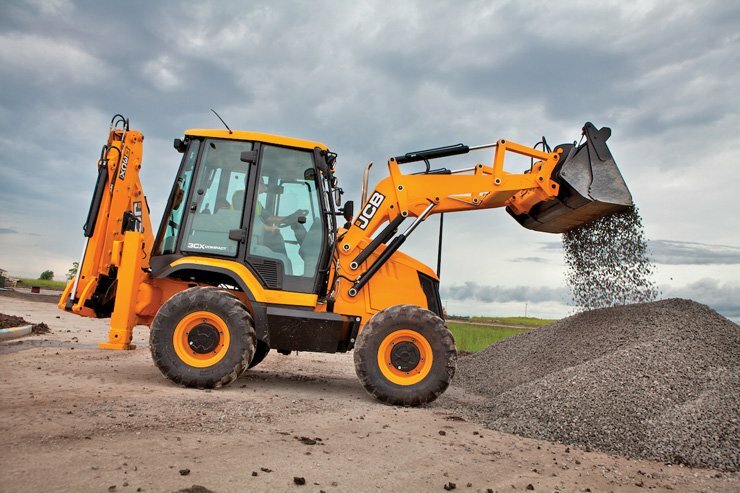 A true compact backhoe is built by JCB — the 3CX Compact. It is about 18 in. narrower than a standard backhoe yet can dig a trench 14 ft deep. 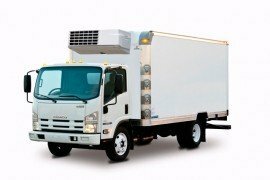 The 3CX Compact can be operated in two- or four-wheel steering mode and runs on four equal-sized tires. It is powered by a Tier 4 Final 74-hp Kohler engine. 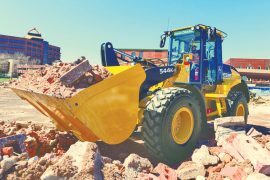 This compactness and maneuverability have endeared the little backhoe to utility contractors, whose work often is in restricted space. “It is marketed as a tool carrier,” Wood says. Bucket, fork and broom attachments fit the compact machine along with some skid steer loader tools. Yet JCB also offers decidedly non-compact models. 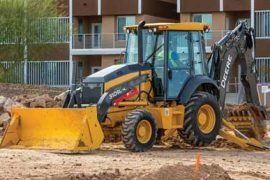 The manufacturer’s largest backhoe is the 4CX-17 Super, which like the 3CX Compact also features four-wheel steering on equal-sized tires. 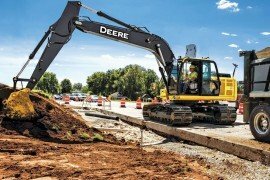 But this backhoe is not diminutive: It is powered by a 109-hp EcoMAX Tier 4 Final engine and carries an excavator that can dig down 17-plus ft.
As is true across the heavy equipment industry, the inordinate engineering focus in recent years was on upgrading engines to meet EPA tier mandates. “We have focused a lot of R&D on engine changes,” acknowledges Pullen, with Tier 4 Final engines now common. Yet engineering has advanced on other fronts as well, notably in lift capacity. N Series backhoes at Case feature “Power Lift,” which is a hydraulic system that lets an operator throw a switch and channel extra hydraulic flow to the backhoe to break through a resistant situation. 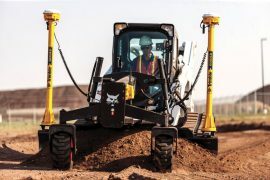 John Deere engineers strengthened the boom and enlarged the hydraulic cylinders on L-Series backhoes, and offer an on-demand “Lift Mode” feature that locks in engine rpm and boosts lift capacity an additional 10 to 15 percent.